Were all about Community here. Here are some of the services we offer. Follow us on social media to learn about our events and special programs. We offer private training in several disciplines. Whether you want to train for a triathlon, lose weight, find motivation, recover from injury or prevent one, we can help you. We specialize in helping people move better, more efficiently and with ease. Our passion is helping people overcome obstacles to wellness, we've got your back! Are you in Physical Therapy? We'll work with you and your therapist to make sure you get the most out of your program, and help you transition out of your therapy into a strong active lifestyle. 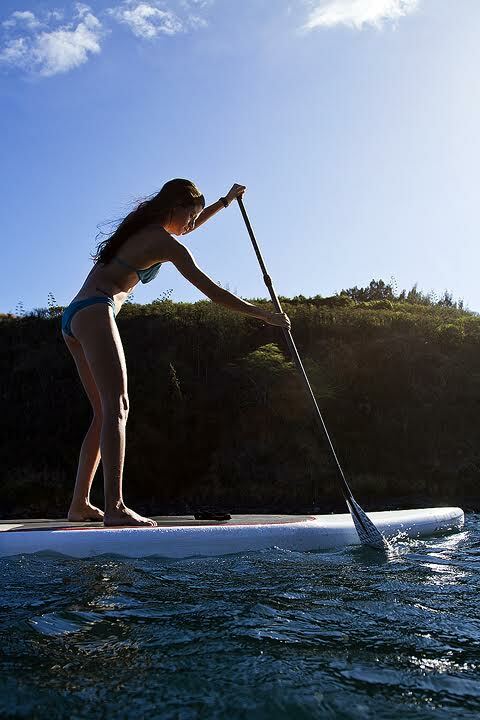 We offer SUP coaching and SUP Yoga through our partners Get Glad Maui. Book a solo session or group! Our SUP program includes Yoga/Pilates, Technique training from beginner through advanced as well as SUP specific training programs for racing and surfing. We specialize in total beginners and can help you overcome many of the barriers that keep you from getting on the water, such as fear, pain and lack of motivation. We can help you with everything from board selection and how to care, maintain and transport your board, all the way through your first, second or 50th race! Swimming Maui is all about having fun and learning how to swim Safely, Efficiently and Happily We help people in all stages of life find safety, comfort and fun in the water. Join one of our classes for all ages from infants to adults or book a private with our swim coaches to get a little more one on one time. Whether you are a seasoned swimmer, a totally terrified beginner, or somewhere in between, we will help you hone and master your swim technique to become a happier and stronger swimmer.